Mornington Peninsula’s Two Bays Farm will continue its upwards momentum with its first journey to the premium-level Inglis Chairman’s Sale next month. The Flinders based farm is taking a stellar group of four weanlings to Sydney that reflect the ever-increasing quality of Two Bays. Held at the new Riverside Stables complex on April 12, a strong sale catalogue of almost 200 elite broodmares and weanlings will be offered and Two Bays Farm’s Ross Ferris is delighted with the quality of horses his farm will be presenting. 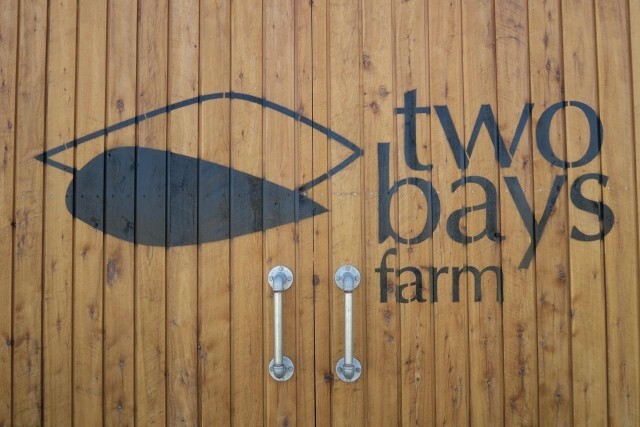 “Two Bays Farm likes to take high-quality stock to market and we believe that this selection of weanlings are of that quality and entirely consistent with the emerging Chairman’s Sale,” Ferris said. Farm manager Rob Carlile is looking forward to the opportunity of showing off their weanlings to a new buying bench. “By going to this sale, we will be able to put our horses under the noses of people who would have never have been able to see them in the past,” Carlile said. Their first weanling to go through the ring will be Lot 14, a chestnut colt by Written Tycoon out of Reset mare, Hunter Heroine. “He is a tall, athletic yearling from an exceptional black type producing family. You just have to look at the page to see what this family is capable of producing,” Carlile said. This colt is from a family littered with black type including Australasian Two-Year-Old Champion and Golden Slipper winner Merlene, star two-year-old filly Bold Promise, Newmarket Handicap winner Miss Pennymoney and VRC Oaks winner Dear Demi. His page also contains the Champion Two-year-old colt and now boom sire Capitalist, also a son of Written Tycoon. Lot 27 is a bay filly by Brazen Beau is the second foal from the Haradasun mare, Queen of Eight. Lot 31 is a bay filly by Snitzel, is out of talented Encosta de Lago mare Sasa. The dam was a top juvenile running second in the Group 1 Champagne Stakes. She has already passed on her gift to her first foal to race and win, Hello Beauty. “The perfect mix of Encosta de Lago and Snitzel, she a lovely filly that has the Encosta influence coming through as a broodmare sire. A private family, this is a fantastic opportunity to get into a quality lineage,” Carlile said. Lot 42 is a colt by first crop sire Pride Of Dubai out of the French Metal Storm mare, Antique who was third in a VRC Oaks. Antique’s six foals to race have all been winners including stakes winning gallopers Broadway Belle, Antique Belle and stakes placed Antique Dream. Group 2 Western Australian Derby winner Arcadia Dream and Listed Belgravia Stakes winner Arcadia Rose are closely related. “This colt is part of an exceptional Western Australian family. We wanted to breed a filly from this mare so we could have a half-sister to all these good fillies that are throwing stakes horses,” Carlile said. “As it turned out, we got the only colt she has produced out of eight straight fillies! You can see the full details of the Two Bays draft at inglis.com.au.